As part of the walk on Tuesday April 20th, 2011 we decided to check whether the Public Right of Way path that runs from Alrewas along the canal on the opposite side of the towpath was passable. The attached map clearly shows the path (although the poor definition of the image suggests that it wanders into the canal a couple of times!). The Countryside Act of 1949 made it a statutory responsibility of County Councils to draw up and maintain a definitive map of the rights of way in their area. If a route is recorded on the Definitive Map that is conclusive evidence in law of status, position and existence of the Public Right of Way. It does not follow, however, that a route not recorded on the map is proof that right of way does not exist as there maybe unrecorded public rights of way in existence whose legal status can only be determined by evidence. As we approached the Happy Hens smallholding, the undergrowth made it difficult to make progress and the owner informed us that 'while we had no right of way, she said that as we had come so far, she offered to let us take the easier route over her land'. We accepted the offer but challenged her about the right of way as we had been in touch a few years ago with Staffordshire County Council and arranged for them to clear the path. I also explained that I had personally examined the definitive map and quoted the law behind it. She continued to maintain that her deeds showed there was no right of way and we agreed to exchange evidence. The lady was so confident that her deeds were correct that I can imagine she would deter most people from using the path again. This is how we lose rights of way and I recommend that you use the definitive map to familiarise yourselves with the status of your favourite paths. 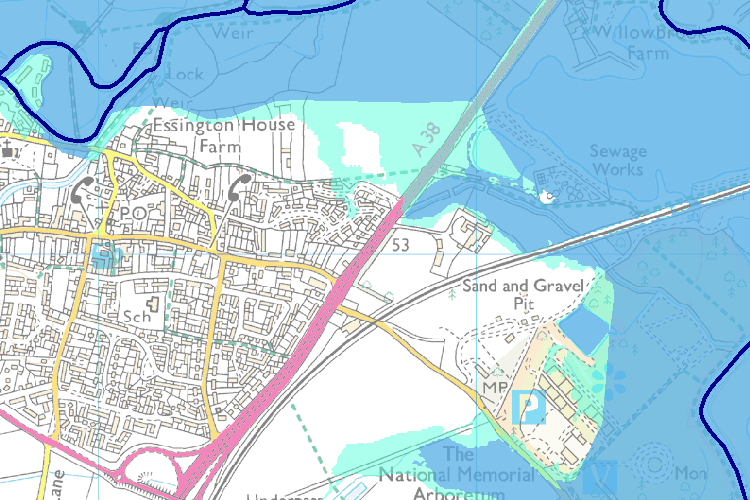 The map has a number of interesting layers, one of which is Public Rights of Way. To use the layers, click on View Map Layers in the top left corner, scroll down to the section on Leisure & Culture and highlight Public Rights of Way. Then click on the Display on Map arrow below the selection box. You may need to zoom in to the area of interest (click magnifying glass button on top right and draw an outline on the map over your area of interest) to see the paths highlighted as bold broken black lines. 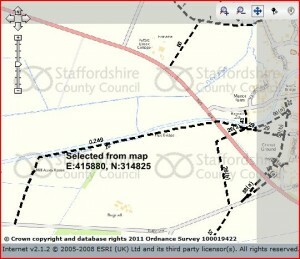 You can make a mark on the map and report any issues to the County Council - broken stiles, potholes, etc. by using the Report It menu option along the top line of the map. I have used this feature to report the incident (and need for clearing the path of undergrowth) to the County Council. I have also printed out a copy for Happy Hens and will pass it on to them. Welcome to the Alrewas Village web site! The site is under construction and will initially record the activities of Alrewas Village Walkers who meet every Tuesday morning - come rain or shine - at 1045 AM in the car park of the George & Dragon pub roughly opposite the War Memorial. 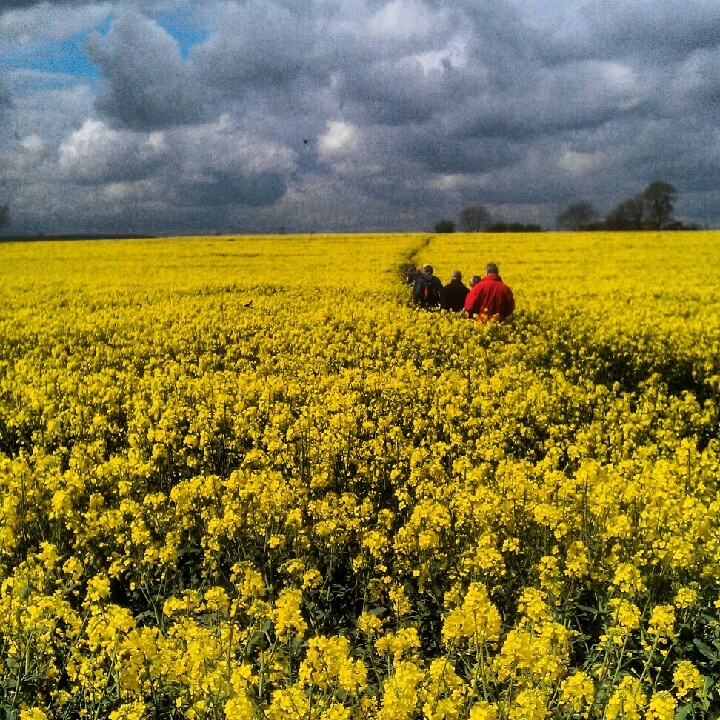 We have a devised variety of walks, usually between 5-7 miles, that take in the canal towpaths and surrounding countryside. The walks usually take around 2 hours but we do try to include a 'short walk' for those that fancy a walk of 45-60 minutes. After the walk, most of us gather in the pub for an inexpensive light snack and a drink or two.